Only seven of the 412 ballots have been cast (amounting to just 1.7%), so there really isn't a big enough sample size to project anything. 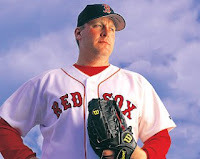 Nevertheless, Red Sox legend Curt Schilling has appeared on five of those seven ballots that have been publicly disclosed so far. That's 71.4%—not that far off from the 75% needed for induction in the Hall Of Fame at Cooperstown, New York. 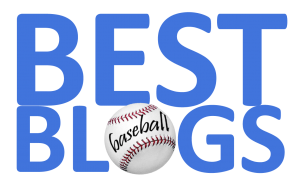 In last year's balloting, Schilling garnered 51.2% of the writers' votes, but was expected to come very close to the magic 75% level this year. Also performing well in the very early voting are: Mariano Rivera (100% in his first year of eligibility), Edgar Martinez (100% in his last year of eligibility), Roger Clemens (71.4%), the late Roy Halladay (71.4%) and Mike Mussina (71.4%). Both Omar Vizquel and Barry Bonds are at the next level down—with 57.1% each. You can follow along as the public ballots keep streaming in at the amazing TWITTER feed of Ryan Thibodaux: HERE.